War has come to Rome. Lands that were Roman for centuries are now desolate or in enemy hands. Northern Spain and the tip of Italy are smoking rubble. The empire’s leading general, Stilicho, is dead with all his army — though they managed to take Alaric, King of the Visigoths, with them. While the legions can notch up the odd victory, the stream of enemies seems endless. And yet, all is not lost. Sacrificing the frontier bought me fifteen or twenty turns to pour every coin into rebuilding the Empire’s economy — its farms, cities, and waterworks. When a legion is mauled, I can afford to raise a new one; I think I can replenish my ranks faster than the barbarians can replenish theirs. Let us see who lasts longer. 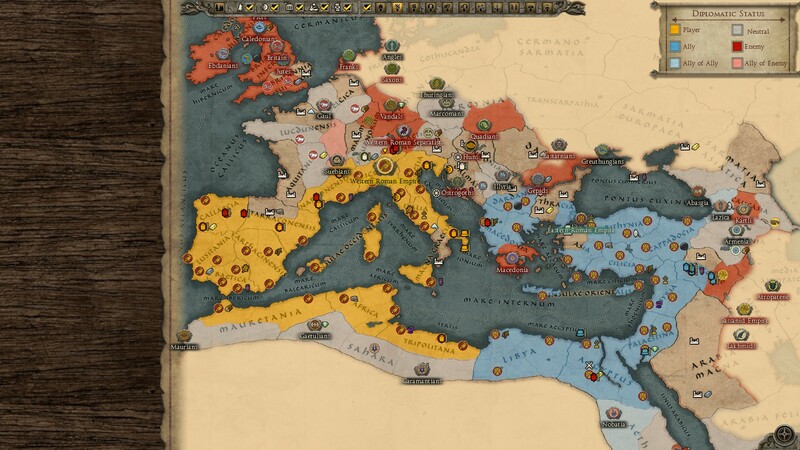 29 turns into the game, the Western Roman Empire is battered, bleeding — and so far, unbroken. Welcome to Total War: Attila. I expected a tough, fair challenge, and so far, it’s delivered. The Western Empire begins in crisis — its treasury is bleeding, its people are restive, and it’s surrounded by enemies. I’m still surrounded by enemies… but I’ve staunched the bleeding. With the right strategy and a bit of luck, I can see how I might be able to dig myself out. And I think that by avoiding mistakes, I could have done better still. 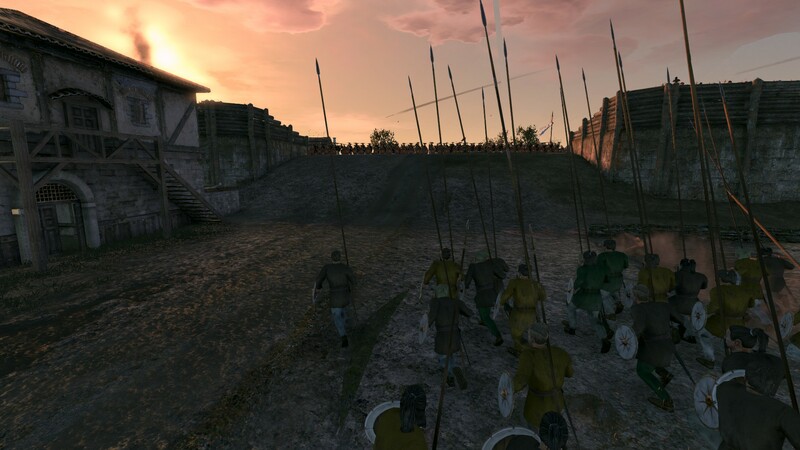 As this suggests, Attila is much better than its predecessor Rome 2 was at launch. So far, I have suffered one crash; annoyingly, this came right after I won a battle. Other than that, Attila seems polished and stable. The AI is shrewd and aggressive — perhaps a little too aggressive. Multiple AI factions have ignored nearer prey in favour of dogpiling me; I’m trying to defend Spain against three stacks that sailed all the way from the British Isles! At this stage, I’d say Attila is very good. The caveat is that I’ve only experienced the early game, and only tried a single faction – the Western Empire. If the rest of the game lives up to the start, I think it’ll be one of the stronger entries in the series. At the start of the game, the Western Empire has too few legions and too much frontier to defend. As such, the standard opening seems to beabandoning swathes of the Empire and falling back — sometimes all the way to Italy. My strategy was somewhat less extreme. I pulled back to the shores of the Mediterranean – Spain, Italy, and southern Gaul. (I did not raze entire settlements behind me, as that increases unrest. I just demolished buildings instead.) Putting every penny into the economy seems to be key; otherwise the funds just will not exist to support a military buildup. If necessary, demolish buildings that cost upkeep. With hindsight, I think I was a bit too hasty to fall back. What I should have done was combine several of the understrength Roman armies, then squash my smaller enemies early on, before they could join forces. That would solve my current problem — too many enemies! It would also be less gamey, and make it more feasible to hold the original frontier. Whatever you choose, good luck, Imperator.